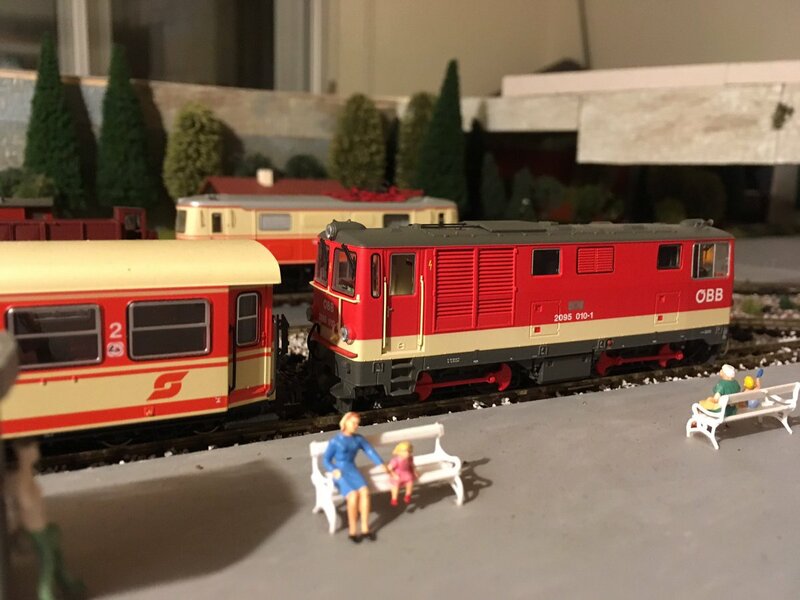 I have maintained a blog for my model railway, which is known as Birches Green (even though it is supposed to depict somewhere in Austria) but have decided to stop updating the blog as the volume of posts is too low. Instead I will post a weekly update here. The old BGLR blog will remain available though if you want some background. The latest big news is the arrival of a new locomotive, 2095 which we have named Maggie. It is a lovely model and a very smooth runner already. The layout flagship loco D16 Falcon has made way for Maggie as the layout is too small to have all of the locomotives on it at once. As per the rotation policy Falcon will be back in around eight months.